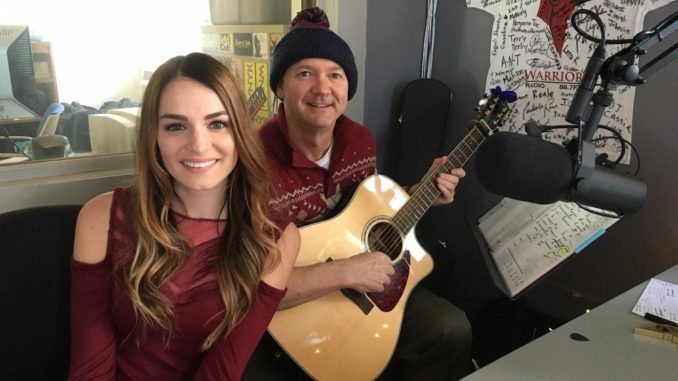 Vocalist Caitlin Caporale, a contestant on Season 8 of “The Voice, was a recent guest in the Nyack College WNYK 88.7 FM studio. Her interview and in-studio performance, accompanied by guitarist Stephen Mercier, will air Wednesday, December 5 at 5:30 PM; Thursday, December 6 at 8:30 AM; and Friday, December 7 at 11:00 AM. Caitlin appeared at K104.7 Summer Fest in Wappinger Falls, NY at Dutchess Stadium in 2015. The Newburgh, NY native continues to support her hometown community by engaging with socially relevant organizations such as Habitat for Humanity, The Humane Society, Safe Homes of Orange County, NY, Make-A-Wish Foundation, Wounded Warriors and Girls on the Run.